We have compiled this STC Community-Building Toolkit that includes the guidelines and administrative tools we use to sustain our student mentoring, execute our leadership development programs, conduct our annual Leadership Retreat for strategic planning, and host our monthly AdCo meetings for tactical execution of our goals and objectives. This also includes administrative tools and reference materials for other successful STC Florida Chapter initiatives including our scholarship programs and fund-raising initiatives, our Active Membership program, and our use of the Community Achievement Awards to promote chapter development. 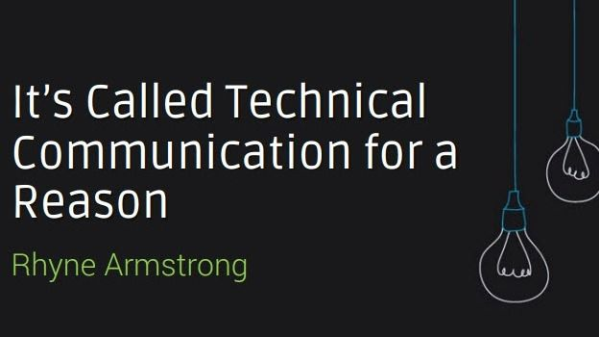 It gives you a peek at our latest and exciting initiative—building a statewide STC community committed to the advancement of the technical communication profession in the Sunshine State. Please click any link below to access the resource. Native files of the resources are available from president@stcflorida.org on request. Initiated in 2001, Florida’s active membership initiative awards points for attendance (physical or virtual) at monthly chapter meetings, service in a chapter office or committee manager slot, publication in the newsletter, and other forms of active participation in the community. Those who earn a predetermined point total within the chapter year receive an attractive—and prized—Active Member shirt emblazoned with the STC logo and chapter name. The STC Florida Chapter Administrative Council, or AdCo, meets monthly in a quiet room in a local restaurant with internet connectivity to allow virtual as well as face-to-face participation. The meetings are open. Other chapter leaders such as committee managers, the newsletter editor, and the website administrator join the elected officers of the Council. Our monthly AdCo meetings are lively, enjoyable, and highly productive. Although AdCo meetings and project meetings are fundamentally for discussing tasks, there is always room for a fun. That is why we hold our AdCo meetings at restaurants. The social setting gives members a chance to get to know each other outside of a solely professional setting. Members who are encouraged to mingle with each other before and after the meetings are more likely to be invested because they do not view them as just business meetings. Historically, the Florida Chapter has used the CAA program as a guide for planning and implementing activities that sustain and grow the community throughout the chapter year. A major Florida Chapter focus the past few years has been refining our communication strategy to move with the times. There are currently many technical writers and professionals in related functions across Florida. Often, these individuals work in isolation from other communicators, missing opportunities to learn from each other. We have developed our Communication Strategy to bridge this gap, and we have invested in technology to share our programs and resources with professional communicators wherever they live. Per our strategy, we take advantage of multiple channels and tools, paying particular attention to social media and mobile-friendly methods. These channels include targeted email campaigns and frequent social media engagement. The Florida Chapter has developed a number of successful innovative fundraising initiatives to deal with the ever-tightening financial “squeeze” the Society faces. These initiatives have played an important role in sustaining the community’s educational programs while also maintaining a balanced budget. In the past, to close the budget gap without jeopardizing the chapter’s general operating budget, the Education Committee decided to undertake a fund-raising initiative to increase the number of corporate sponsorships: Operation Rising Stars. This initiative is something we want to restart soon since we have all of the materials to make it a success. In this exciting, future-oriented new initiative, launched in January 2018, veteran STC leaders of the Florida Chapter serve as “Coaches” to talented young leaders. The presentation includes program guidelines and the tools used to administer it. Not surprisingly, the four presenters for today’s session are among the chapter’s designated Rising Stars. A key element of the leadership development program is the recent (January 2018) STC publication Fast-Start Leadership Guide by former STC Board of Directors member, three-time Florida Chapter president, and STC Fellow Mike Murray. While focused on building and sustaining STC communities, the lively and accessible Guide is readily applicable to leaders in any volunteer-based organization, offering valuable strategies for professional leadership in general. Every project needs a kick-off meeting where the team gets together to get to know each other, clarify requirements, set expectations, and analyze metrics from previous projects. Think of running an STC chapter exactly like running such a project. The STC Florida Chapter’s annual summer Leadership Retreat provides a “post-mortem” on the previous year’s activities and serves as a kick-off meeting for the upcoming chapter year. At the annual summer Leadership Retreat, the STC Florida Chapter sets its strategic goals and objectives for the upcoming chapter year and identifies the projects and activities we must execute to achieve those goals. 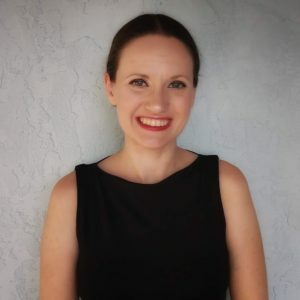 The Florida Chapter sponsors two endowed scholarship funds for technical communicators: the Suncoast Scholarship at the University of South Florida; and the Melissa Pellegrin Memorial Scholarship at UCF, established in 1997. The mergers of the Orlando Central Florida Chapter with the SpaceTech Chapter in 2012 and the Suncoast Chapter in 2016 motivated an initiative to extend our community’s educational STC programs state-wide by offering virtual attendance at monthly educational meetings as well as leadership meetings, with the ultimate goal of bringing currently unaffiliated, “chapter-less” Florida STC members into a single statewide chapter. We want to provide them with the advantages chapter membership brings, including a closer connection to STC via local interest groups. The benefit to members in remote areas is affiliation with an existing chapter structure without the need to create and support a local infrastructure (officers, budget, program development), which has led to the dissolution of other chapters across the state. The benefit to STC is membership incentives and closer attachment to the Society. The STC Florida Chapter’s student mentoring program pairs professionals in STC’s geographic communities with student members at nearby universities. Mentoring programs benefit STC geographic communities, tech comm students, and working professionals alike. Beyond that, a successful student mentoring program serves as a model for mentoring in the workplace.